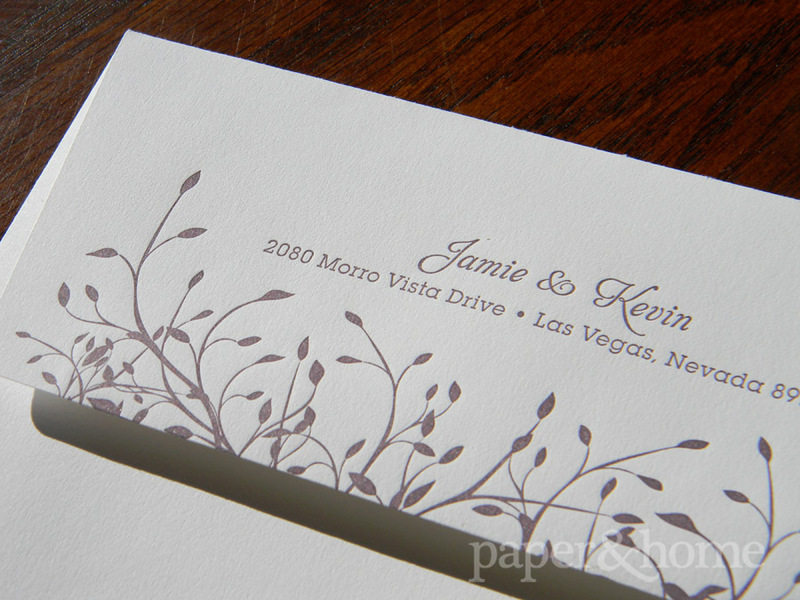 Jamie & Kevin, a lovely Las Vegas couple, came to Paper and Home for elegant garden wedding invitations. 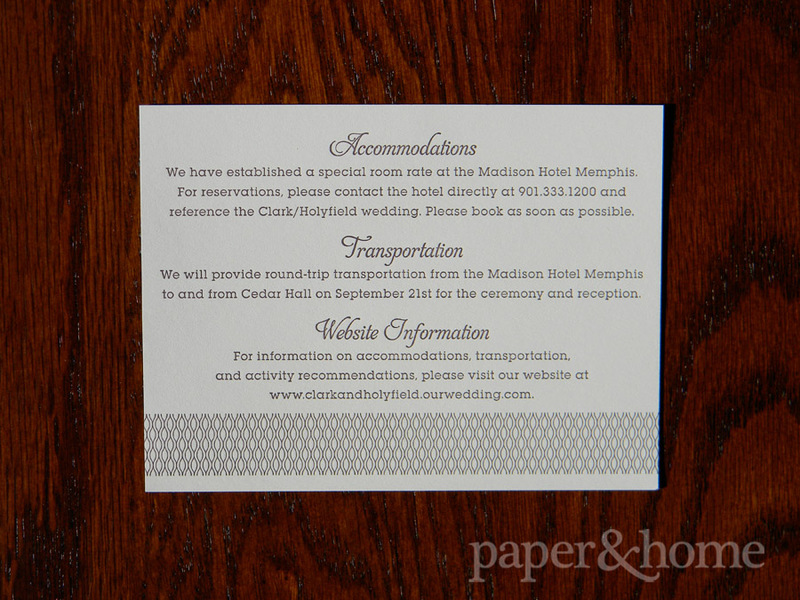 They are such an amazing team and we were honored to create a fabulous, woodsy wedding invitation suite in conjunction with our partners at Spark Letterpress. Jamie & Kevin worked so well together. 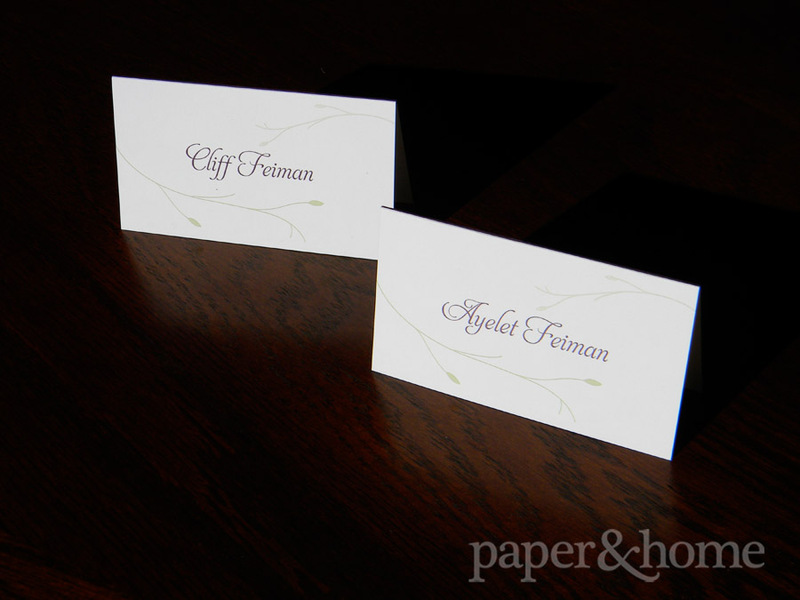 They knew what they wanted individually and as a couple, and they communicated their design style so well. 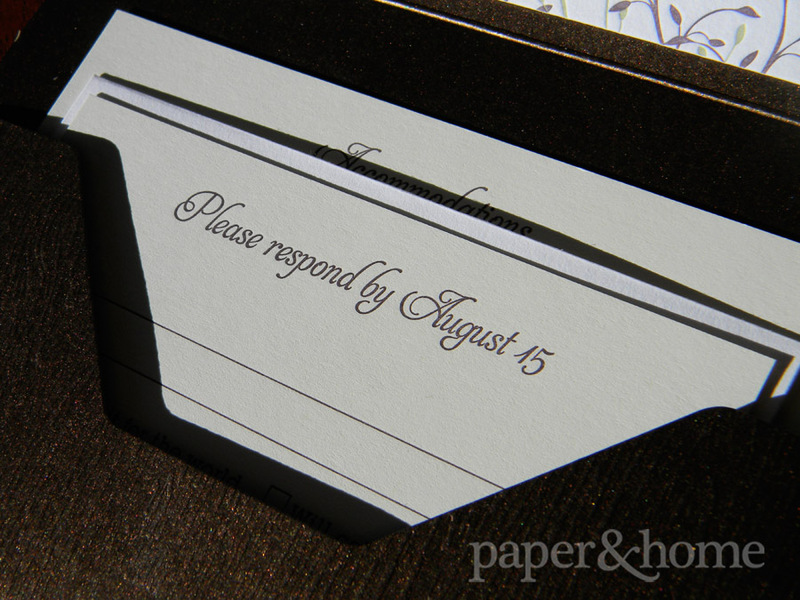 We narrowed in on an elegant but casual letterpress wedding invitation suite from Spark. 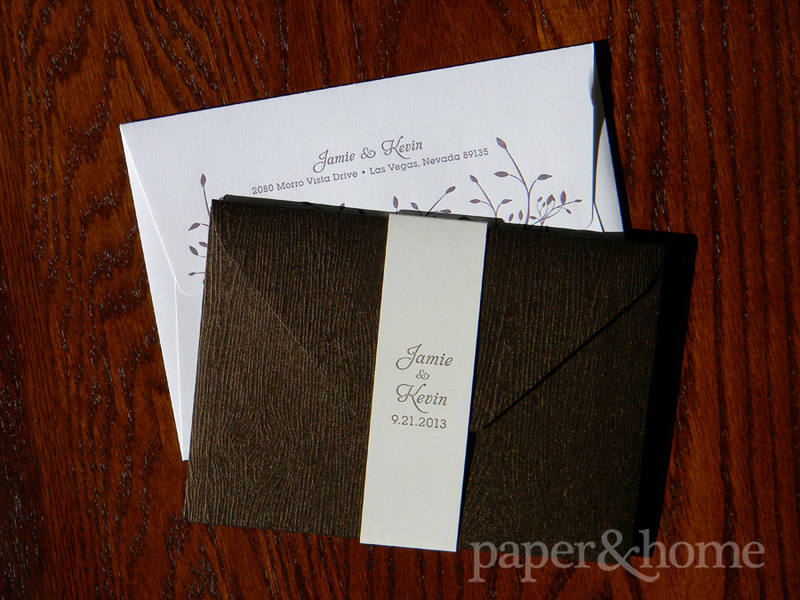 The wood grain pocket with a little shimmer is very warm but luxurious. It’s easy and fun, but tasteful and sophisticated—just like the bride and groom. 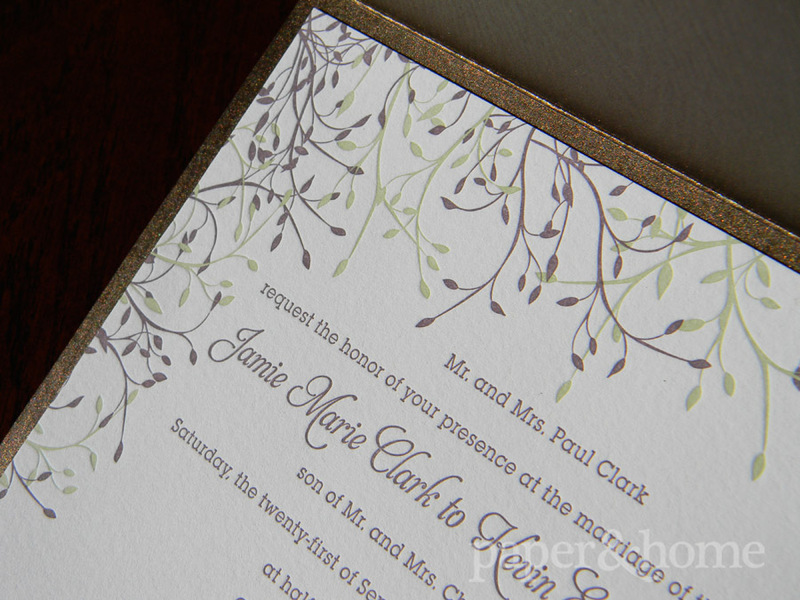 The purple and green letterpress leaves are modern, but they also enhance the down-home garden feel. 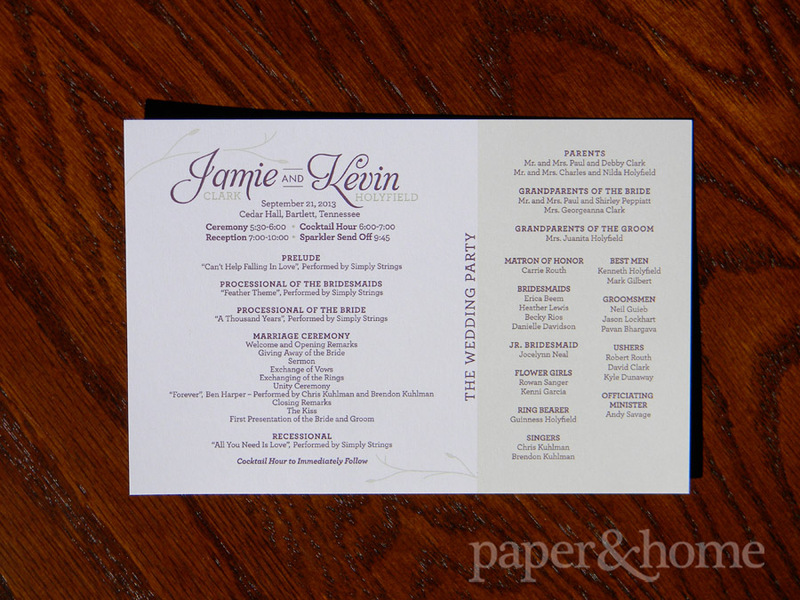 The soft but impactful purple ink was the perfect choice and looks beautiful on both the white and cream paper stocks the couple chose. Don’t be afraid to mix papers! 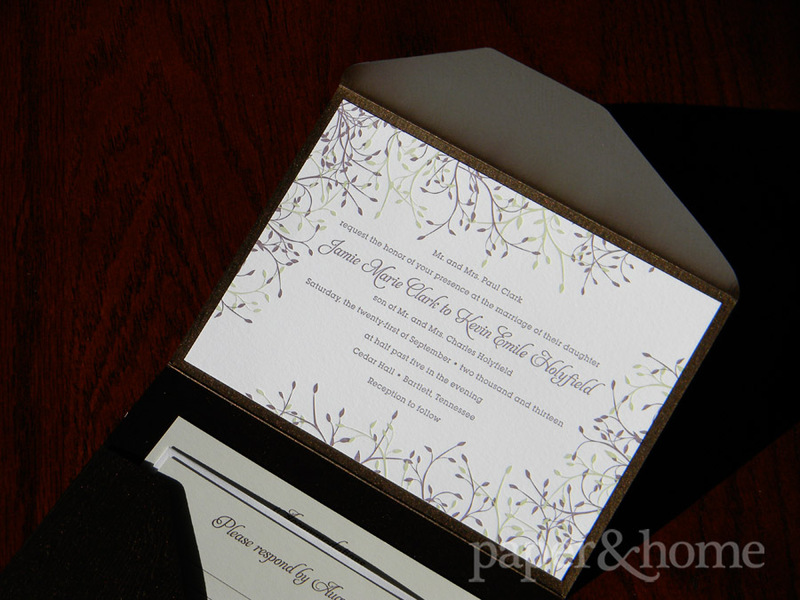 It adds depth and richness to the entire invitation set. The fun mix of borders, patterns, and leaves once again add depth and interest to the set. There’s so much to look at! 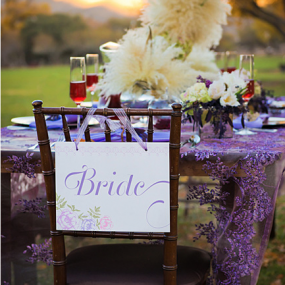 Imagine your guests eyes wandering from element to element, while simultaneously soaking in the elegance of it all! 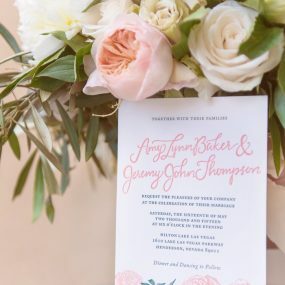 Moving on to the day-of wedding accessories, our graphic design team brought in the established color palette and elegant garden design theme to create custom ceremony programs, place cards, and favor tags. 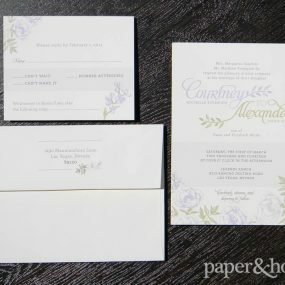 We love how these stationery accessories tie-in the invitations and carry our the couple’s style. 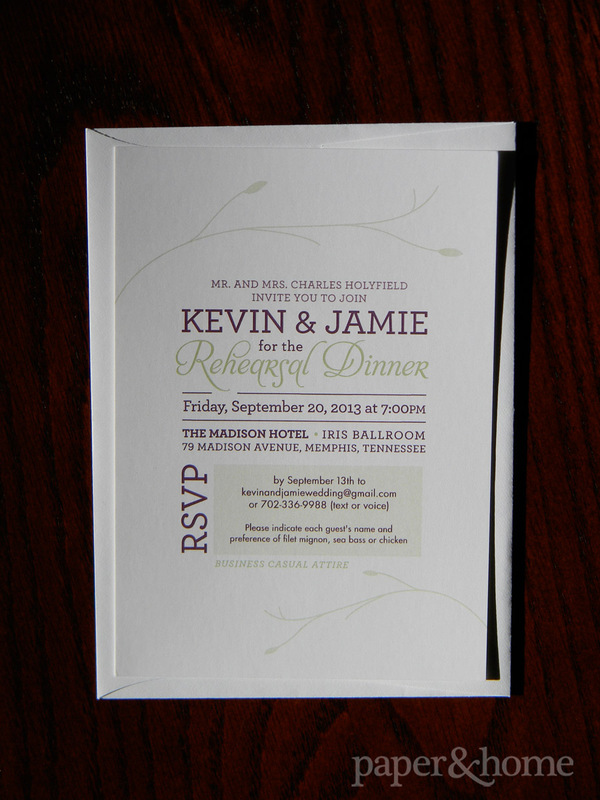 The groom’s parents hosted a rehearsal dinner the night before, and we kept the theme going with these modern garden invitations. 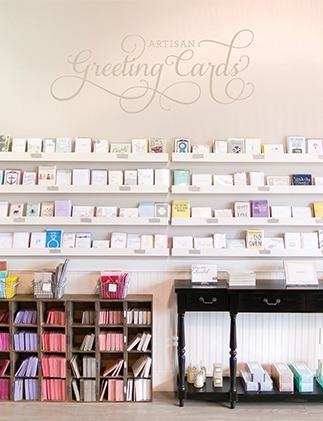 We just love the clean, typography-driven design, with a touch of woodsy charm. Design is a reflection of who we are. How we choose to express ourselves visually says a lot about who we are as people. 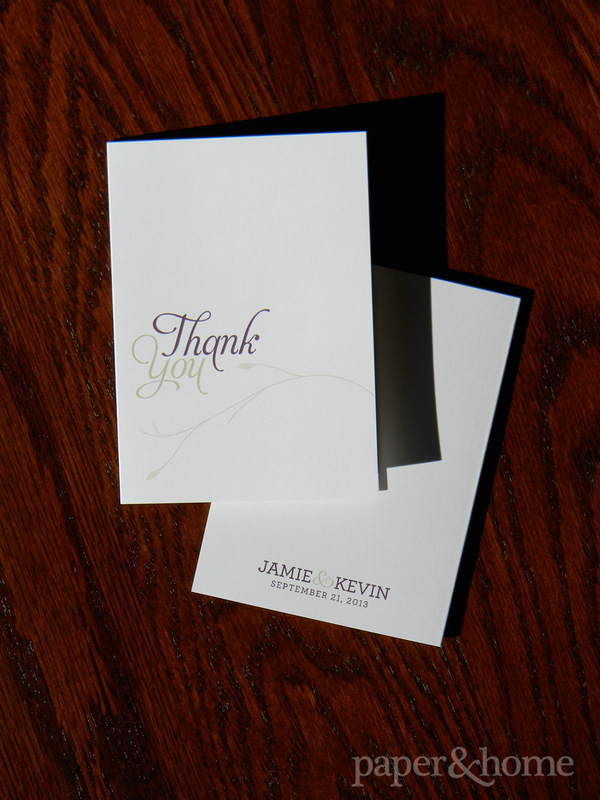 The attention to detail, the warmth, the color… they all say so much about Jamie & Kevin. All great things. 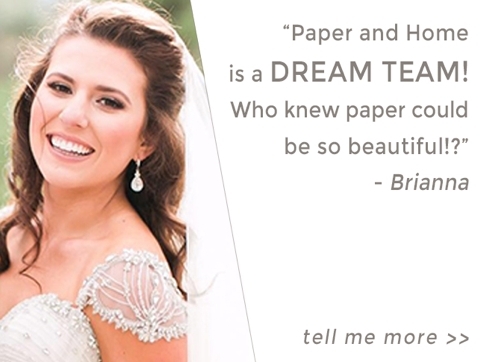 Of course, this sweet couple had custom thank you cards made to show their guests how grateful they are for sharing their love with them on their wedding day. 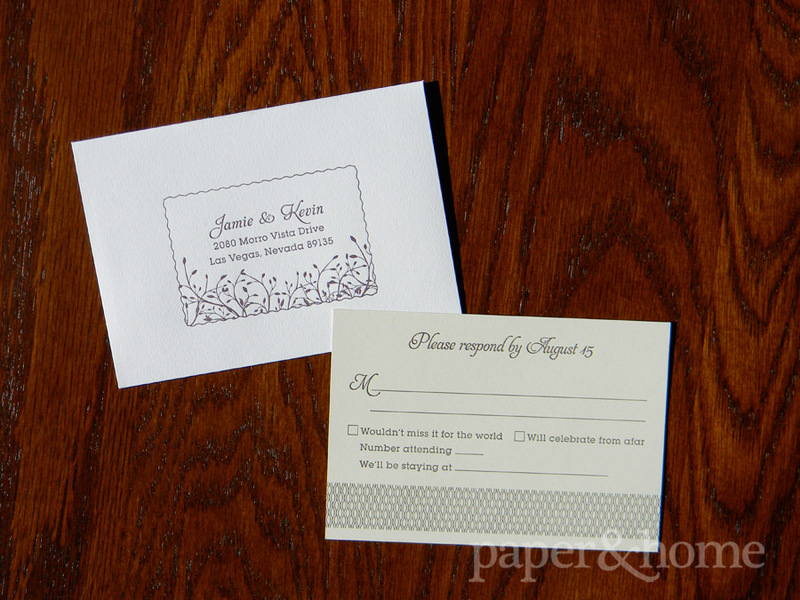 The perfect punctuation to the perfect wedding stationery collection.